Marios Tritoftides: The Limassol doctor who brought 40,000+ babies into the world! Though he never had children, Dr. Marios Tritoftides was perhaps one of the few people who could call his own the tens of thousands of children he brought into the world. Founder of the first flagship gynecological clinic in Limassol in 1940, he was more than just a mere doctor, and his journey has now become a part of the city’s history. Though Dr. Tritoftides himself passed away in 2005, and his clinic is no longer in existence, the tens of thousands of babies he delivered, as well as the hundreds more that he christened, are living examples of why his name is still on peoples’ minds. At the time when Dr. Tritoftides practiced medicine, doctors were considered to be somber and rigid individuals. This was a stereotype he deftly avoided, however. Instead, Marios Tritoftdies was a typical Limassolian – jovial, open-hearted and sociable, leaving his mark on the city (and on Cyprus in general) in many ways, well past narrow limits of his duties as a doctor. He was very active in public life, focusing mainly on sports and athleticism. He supported the ‘Olympia’ Gymnastics Association (G.S.O.) 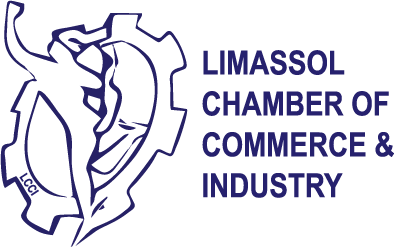 of Limassol, serving as president of the Association for 50 years. 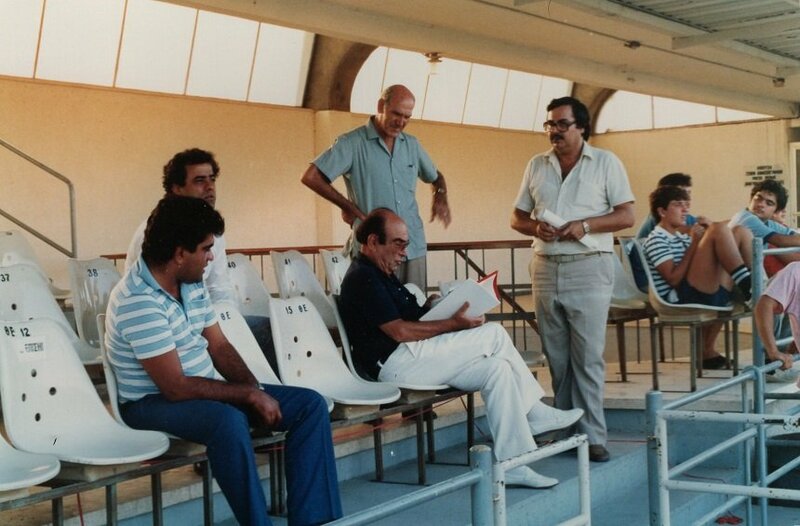 During the presidency of Spyros Kyprianou, he also served as an Advisor to the President on issues regarding athleticism, drawing on his many years of experience in the activities of the Association. 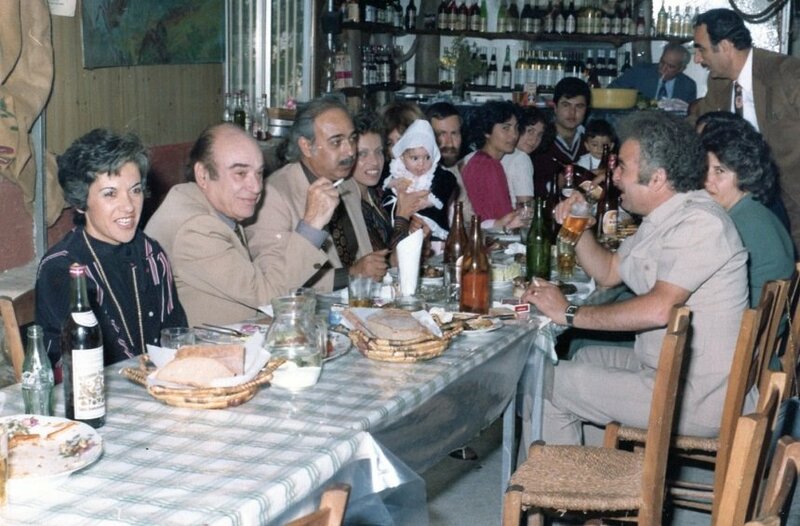 He was very much involved in volunteerism, offering his medical services to the National Guard and organizing the Volunteer Nurses Corps in Limassol, which proved to be invaluable during the tumultuous years of the bicommunal riots and the war of 1974. For decades, he was practically a daily presence at the G.S.O. stadium. He poured his heart and soul into the affairs of the G.S.O. and, inevitably, this became the reason for this universally admired and beloved doctor to receive a number of anonymous, threatening letters. His actions in this area had also earned him a number of awards and honorary plaques, all of which are stacked by the dozen in his home, where his second wife Koulla lives today. However, what made him stand out the most in the consciousness of the Limassol locals who interacted with him, was his humanity, which was never outshone by professional success or the many accolades he received. The lively doctor was born in Limassol in 1910, where he remained until the 4th class of Gymnasium, when his family moved to Athens due to his father’s professional obligations. 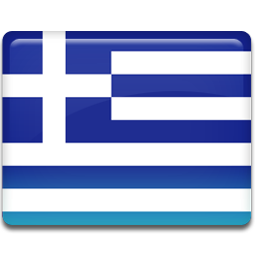 He graduated from the Kallithea Gymnasium, and received a Doctor of Medicine from the Athens Medical School. 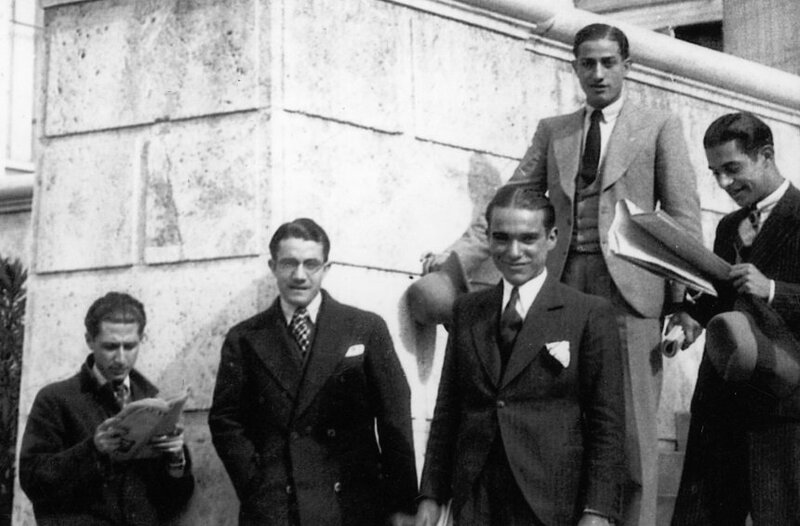 Marios Tritoftides (third from left), during his student years in Athens. From 1932, he worked as an assistant and curator with Nikolaous Louros, at the ‘Marika Eliadi’ Maternity Hospital in Athens, while at the same time teaching at the Midwifery School. 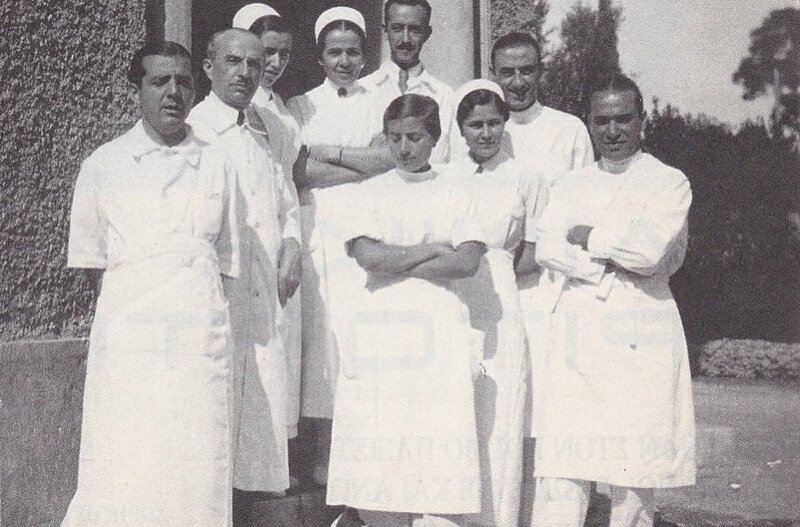 In 1939 he returned to Cyprus and in 1956 he established the first Obstetrics-Gynecology and Surgery Clinic in Limassol. During his medical career, he is estimated to have delivered 40,000 babies and performed 30,000 surgeries in Greece and Cyprus. Marios Tritoftides (bottom right) as a young doctor, at the start of his career in Athens. 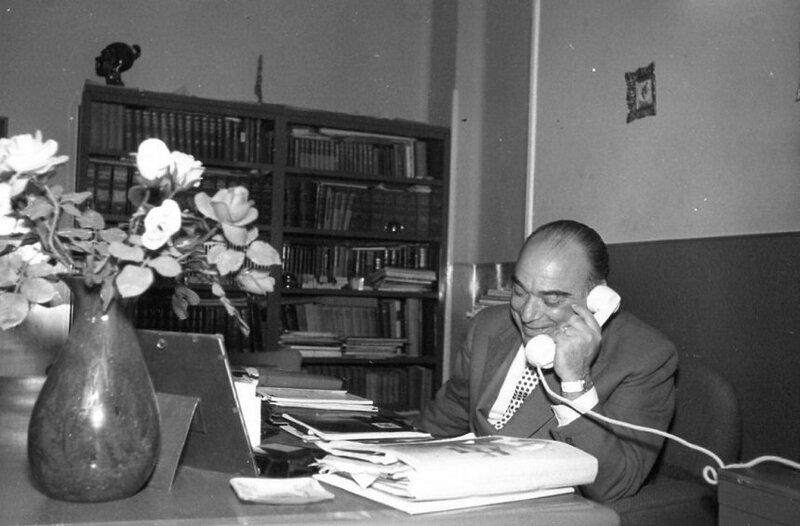 The clinic he founded in Limassol was centrally located and focused on the city’s needs, though his scientific work had an international reach. He conducted research and a number of scientific studies which were widely circulated in Greece and abroad, and was elected as a member of the Athens Obstetrics and Gynecology Society, the French Gynecology Society, the International Fertility Society, and the International College of Surgeons. 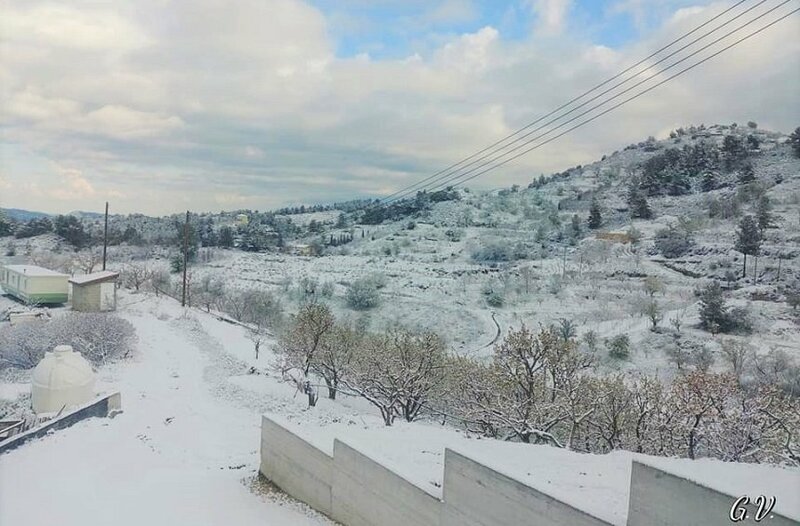 Η κλινική του Δρ. 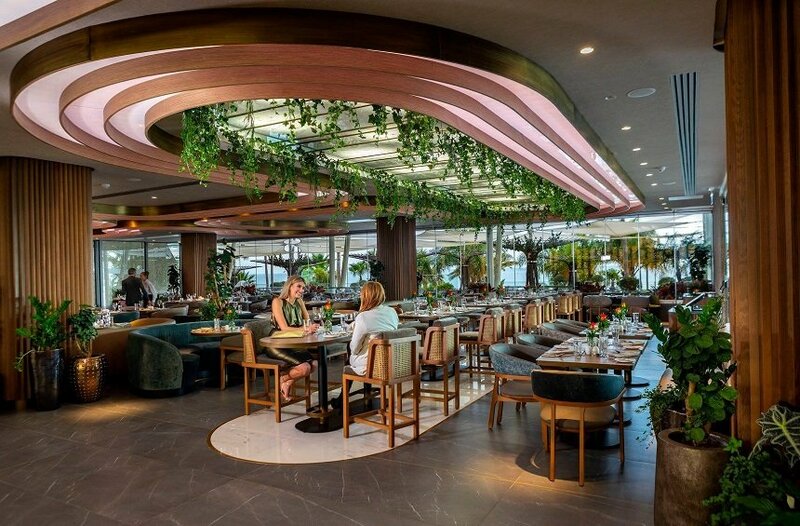 Τριτοφτίδη στη Λεμεσό, που λειτουργούσε επί της λεωφόρου Μακαρίου, αποτέλεσε έναυσμα για πολλούς ακόμα γιατρούς να ακολουθήσουν στη συνέχεια τον ίδιο δρόμο. At some stage in his practice, he was joined by 4 or 5 other gynecologists, all of whom decided to collaborate and expand the clinic. “This attempt lasted until the mid-70s, approximately,” says Koulla Tritoftidou, “because it appeared they couldn’t all agree on the best way to run the clinic.” Twice he turned his clinic into a military hospital, both in 1963, during the bicommunal riots, and in 1974 during the war, and he had a central role in organizing the Lanitio Gymnasium into a military hospital during the Turkish invasion. He was always seeking ways to serve the public interest, utilizing both his knowledge and his experience. 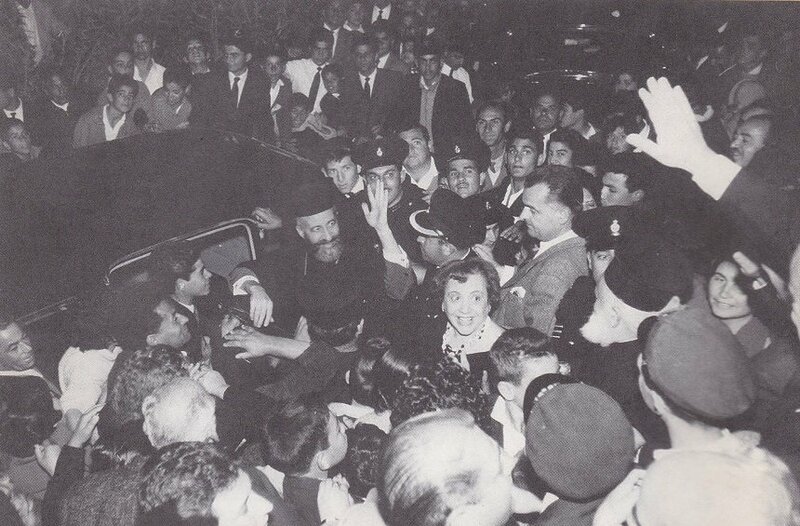 To that effect, in 1960 he served as a parliamentarian of the Greek Communal Chamber, promoting, among other things, laws for the provision of pensions for disabled persons, and widows and orphans of war heroes. “He was friends with Archibishop Makarios,” recalls his wife, Koulla, “and he had tried to soften the conflicts that emerged between him and Grivas (leader of the EOKA guerrilla organization). 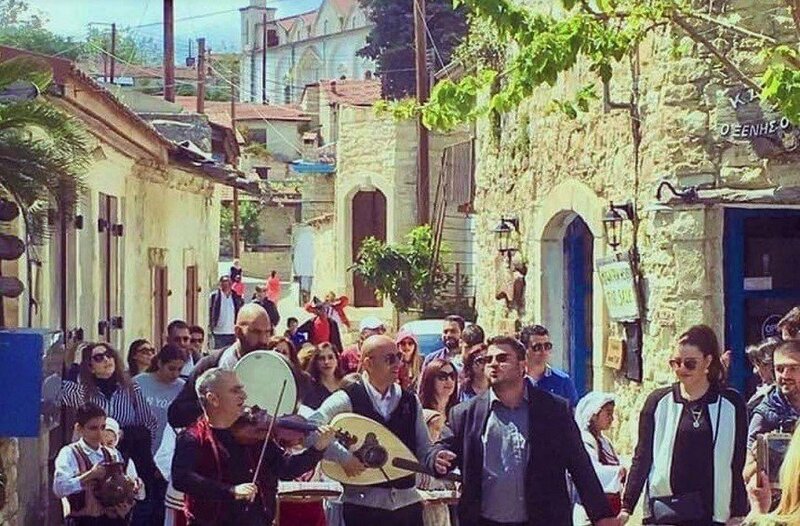 Of course, his attempts were unsuccessful.” (The photo shows the gathering of people outside Tritoftides clinic, during Makarios’ visit. In the center is the doctor’s first wife, Magda Tritoftidi). His friendship with Makarios was also the motivation for handing over his gynecology clinic to the state. Dr. Tritoftides had explained his concerns to the then-President of the Republic regarding the spread of Mediterranean Anemia on the island, and proposed the creation of a center for the study and treatment of the disease. Makarios had asked the doctor to donate his clinic for this purpose. “When I met Marios, in 1977, the clinic was no longer in existence,” says Koulla Tritoftidou. Not long after the death of his first wife, Magda Tritoftidou, in a car accident, the doctor had handed the clinic over to the state. Nevertheless, he would still see patients in his home office. 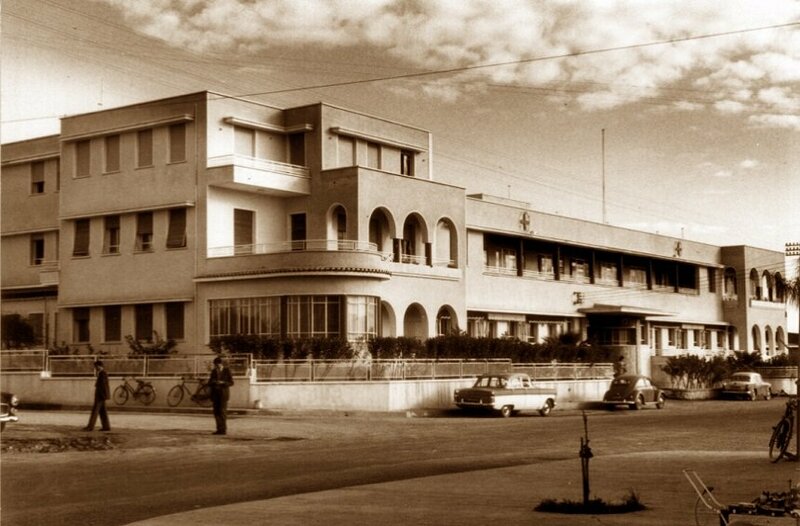 The clinic continued to function as a hospital in Limassol, up until the creation of the General Hospital in the Polemidia area, in 1993. After that, the clinic was emptied and abandoned, at one point even becoming a squatters’ haven, until it was finally sold. “There were many suggestions as to how the former clinic could be put to use. The Anti-Cancer Society, for instance, had expressed the desire to create a care and rehabilitation center there,” says Koulla Tritoftidou. “The doctor himself had proposed that it should function as a branch of the General Hospitals A&E ward, due to its close proximity to the city, which would allow it to serve people more directly. Some had even suggested it become a library. None of these plans came to fruition,” she adds. Marios Tritoftides radiated positive energy to all those who met and knew him well. He was an open book, always cheerful and enjoying his life, and would stay away from vicious comments, tension and confrontations. He held onto this passion for life right up to the very end. “He was in his 90s, and he would dance as though he were still 20,” recalls Mrs. Tritoftidou. He was always the first one to get on the dance floor. A friend of entertainment and fun, he was a typical Limassolian. He used to hang out at entertainment venues of his times. He wanted to know everything about new dance styles, no matter his age. For the trip’s sake, he was a captain too. He filled his life with people and images and he lived to the fullest. Only dementia had managed to destroy the spirit and body of Dr. Tritoftides. “I thought he was going to live forever. He would never get sick, and mild seasonal flu was the only malady he ever suffered from. His blood pressure, right up until the end, was 13 over 8, he was practically like a teenager. He never suffered from high blood sugar or cholesterol, and he never took any medication,” says Koulla Tritoftidou. Of course, Marios Tritoftides also abstained from smoking and other substances in general. “He smoked from time to time, when we happened to be out with friends, but he never inhaled,” recalls Koulla Tritoftidou. Marios Tritoftides found every way to celebrate life. His love of science, as well as the nature of his work, which allowed him to bring into the world tens of thousands of new lives, gave him a sense of perspective as to the value of living each moment to the fullest. And that he did, attending social gatherings in his friends’ homes, going on outings to entertainment venues or hotel dances. These were his favorite pastimes, as was travel, and he would regularly visit Athens, where he had lived for many years, and also took trips to distant countries such as China and Thailand. Dedicated to his vocation as a doctor, he handled all aspects of this work with professionalism, from the research and scientific aspects of it, to the way in which he would conduct routine tests, ensuring that there was always a nurse present, so as to avoid eliminate even the slightest chance of being falsely accused of harassing a patient. Marios Tritoftides impersonated the joy of life, in every aspect of the meaning of the expression. Unstoppable and in constant motion he spent his entire life full of love for people. His life may have been full, but he lived as far as possible from honourable titles and awards, making the little moments and the smiles of his beloved ones count more than anything. After all, no matter how great a man may be, no matter how much one may have achieved, being able to recognise Life and People as the greatest values in the world, is what truly adds to one’s value. This is the main reason a tribute article on such a man in All About Limassol (the Official Source for Promoting Limassol). Because the contribution of a man in the society is not merely one’s work, but mostly the example one leaves behind as a human, the smiles his memory generates and the number of everyday people who feel blessed to have crossed his path in life somehow.